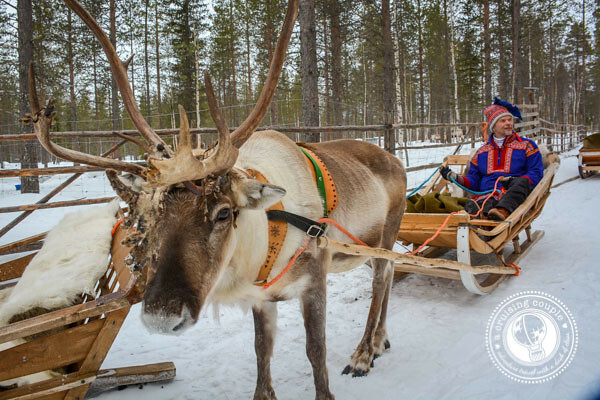 We used to think that transportation via reindeer sleigh was the creative invention of Santa Claus; however, that was before we took our very own one-reindeer-open-sleigh ride through Finnish Lapland. While unfortunately we remained quite firmly planted on the ground rather than souring above rooftops, the experience—and more specifically the opportunity to learn about Sami reindeer herders—taught us that there is much more to the culture of reindeer than we ever knew before. We’ve been mentioning ‘Lapland’ a lot in our recent posts, but we have yet to actually define where the region is. (And as evident from the blank expressions we get after telling people that’s where our travels have taken us, this information might be useful.) Lapland is the northernmost cultural region of Europe, largely within the Arctic Circle, traditionally inhabited by the Sami people. 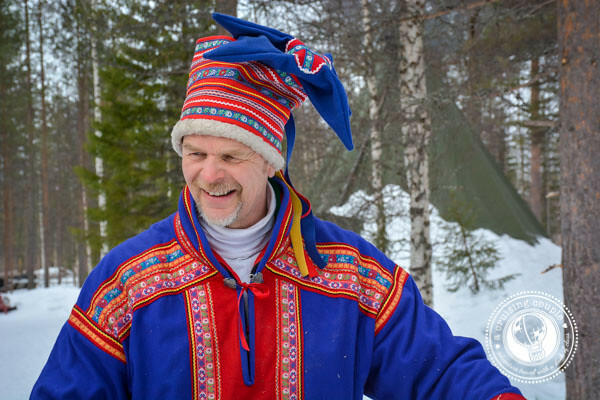 The Sami, previously known as the Lapps, are a minority indigenous goup of the region. Today Lapland stretches across parts of northern Norway, Sweden, Finland and even Russia. The Sami culture in Lapland is intimately connected to the reindeer, similar to that of the Native Americans and the buffalo. This could perhaps be because there are more reindeer than people in Lapland; the animals have long served to meet many needs of the Sami, from food to clothing to, of course, transportation. Even today, every single reindeer in Lapland belongs to someone, and is tagged accordingly. In many ways, life for the modern-day Sami reindeer herder has not changed all that much. We did meet a reindeer herder in Sweden who stays connected on his iPhone and enjoys going to hard rock concerts with his friends. And rather than using skis to keep up with the reindeer, herders now manage the land with skimobiles. New technologies have of course facilitated some of the herding processes. But on a day-to-day basis, the herders’ actions still revolve around that of the reindeer, the seasons, and nature. Reindeer roam free throughout the majority of the year, and the herders must be continually monitoring them during this time. If they find a reindeer with a tag that belongs to a neighbor, they notify them. If a reindeer has been killed from a bear or wolverine, or a more recent predator, the car, then they note it and tell the government, who in turn pays them a small amount for the loss. In May the baby reindeers are born and the herders must mark the calves and then move the reindeer to summer grazing land. In October there are herding roundups that the entire village attends where some reindeer are selected for consumption. The life of a reindeer herder is always a busy one. One of the things we found to be the most fascinating about the reindeer culture was the way that the Sami utilize the reindeer as a resource in a healthy and sustainable manner. Reindeer are naturally a very healthy meat—they are low in fat, and have very low hormone levels from a relatively stress-free life roaming through Lapland. The Sami people use the reindeer, but only a number that is healthy for the reindeer population and the region. As it stands, the land in Finnish Lapland can only support an average of 200,000 reindeer; but during the summer months, the reindeer population increases to around 350,000 reindeer. Since there are not enough resources to support the extra population, they use the difference of around 150,000 reindeer for consumption. The reindeer are not just used for meat. Traditionally the Sami would use every part of the reindeer, using their skin and fur for insulation and clothing, their veins for thread, their bones for tools, the blood for cooking—absolutely nothing went to waste. Some reindeer were also selected to pull sleds. 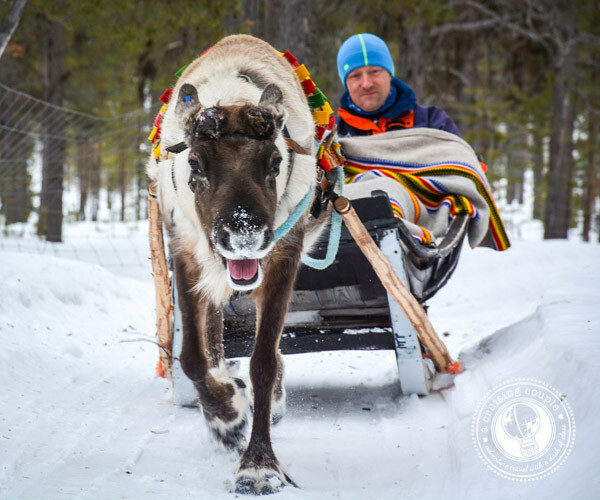 Though it is a dying practice, reindeer sleighs used to be a primary mode of transportation for the Sami people. We were even told that reindeer sleigh is the only way to legally ‘drive drunk’ in Finland. If a bar patron had a little too much booze, the bartender used to put him in his sleigh and slap the reindeer to take him home—the reindeer already knew the way, so the inebriated person had only sit back and try not to vomit. Today you’ll find it is primarily tourists who are taking the sleighs for a whirl. The herders are finding new and innovative ways to build their businesses and meet a demand, while also educating people about their culture and the reindeer. Throughout Lappish history, the government has often ignored the Sami’s right to land and resources. With the controversial increase in the mining industry, as well as more and more reindeer herders deciding to leave the traditional job for more profitable ventures, the sustainability of reindeer herding culture is in jeopardy. However, many modern reindeer herders, like the ones we met, still feel very passionately about their trade. It’s through their innovation and dedication that the practice will continue, iPhones and rock concerts in tow. 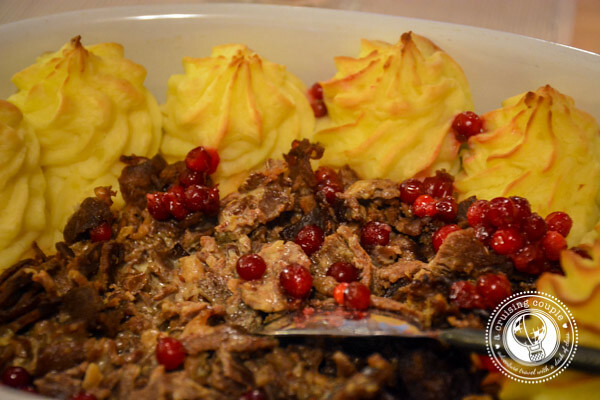 The first was a short reindeer sleigh ride with the opportunity to talk with a modern-day Sami reindeer herder – and eat the most delicious butter buns of our lives. The one-hour tour was private, which allowed us plenty of opportunities to ask the herder about his life and culture. This was in conjunction with the Snow Village, the morning after we survived a night in an igloo. The second reindeer encounter included a much briefer sleigh ride but a much more extensive presentation about the Sami in an Old Lappish Manor Home. To say we learned a lot would be an understatement. The presentation focused on Sami culture, including their clothing, jobs, traditional vs. modern life, etc. Naturally a large amount of this information included facts about reindeer herding. This half-day tour (which included lunch) was with Harriniva, and we would highly recommend it to anyone wanting an introduction to Sami life and culture. 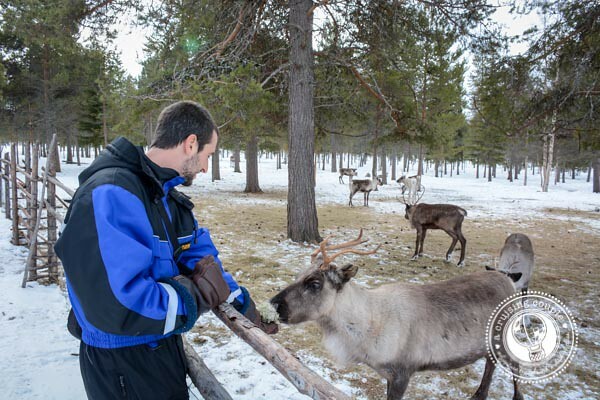 Would you be interested in going on a reindeer sleigh ride or meeting a modern-day Sami reindeer herder? 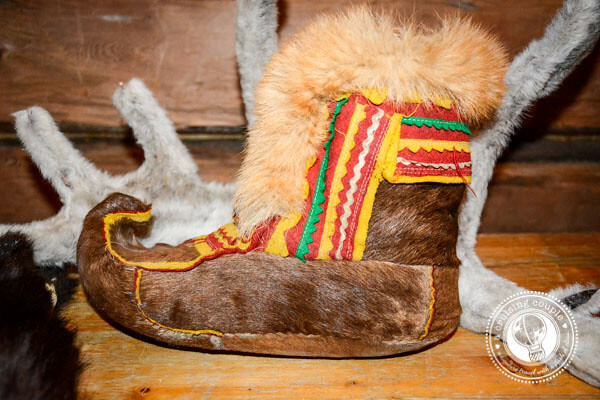 Do you know anything about reindeer culture that you can add? 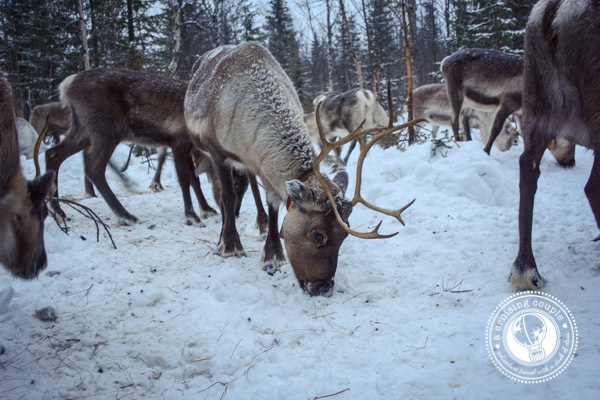 A huge thank you to Visit Finland for making our reindeer encounters possible. Casey, I’m fascinated by all indigenous peoples and traditional ways of life. Maybe I really should have pursued anthropology…hmmmm. It sounds like a wonderful experience. I might have to email you to get some details on how to sign up for next winter. Great article Casey! Please do email me if you go there next winter! 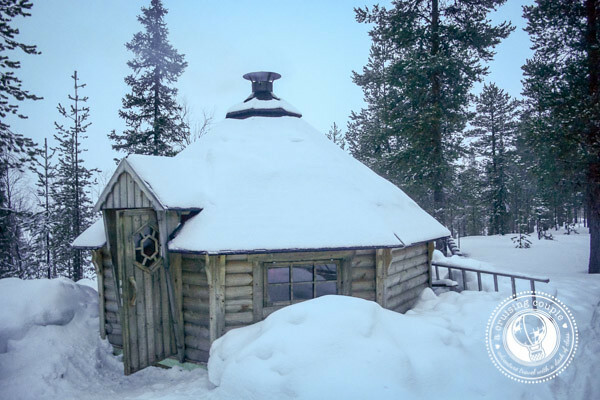 If you love traditional ways of life, I think you would really enjoy Lapland in general :) I agree with you though, it is truly fascinating to learn about! So glad you liked the article! LOL I want to drive drunk on a reindeer sleigh! Great article! It appears to be like a amazing encounter. I’m interested by all indians and conventional methods of lifestyle. Thanks for sharing with us. Thanks John!! It’s really nice to leave a place feeling like you learned a lot about the people and culture that call it home. Glad you enjoyed the post! The reindeer are really nice. This is the first time I have seen them. Thanks for sharing. Peter recently posted…Coral World Ocean Park offers a variety of activities for visitors or all ages. Thanks Peter! We recommend visiting them if you ever get the chance! This is so fascinating! I absolutely want to take a reindeer sleigh ride and experience this unique culture. Adding it to the list! The life of a Sami reindeer herder is very unique indeed! Such a beautiful place. I will like to go there if i got a chance. I never heard of such transportation by a reindeer but it seems like a nice human friendly animal. Finland is a great place for those activities. I recently got my DNA results back from The Genographic Project, National Geographic and my “deep ancestry” is from Finland and in particular the Sami. I am Puerto Rican and live in New York City. I am in total awe and respect of my distant and beautiful relatives in Finland. What time of year do the reindeer have good looking antlers when the snow is good? I’d like to go there when those two times happen together to get some good pictures of reindeer and the sleigh. How do I contact reindeer herders? Thanks!